The Cornered Cat: A Woman’s Guide to Concealed Carry – Conflict Research Group, Intl. 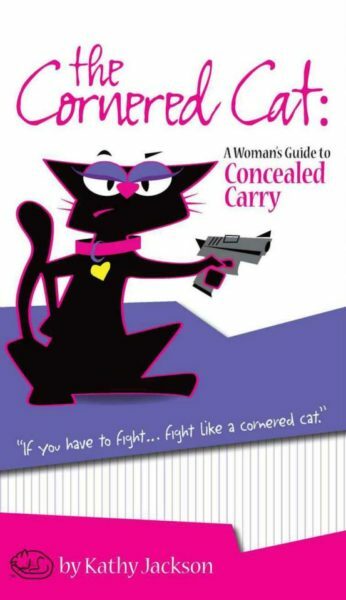 The Cornered Cat is the ultimate resource for women who choose to carry a firearm for self defense. It covers everything from cleaning a pistol to methods of carry. It tells women everything they ever wanted to know about how to carry a firearm for self defense. The Cornered Cat is all about women that have chosen or are considering choosing firearms for self defense, sport, or just wanting to understand more about what their menfolk find so fascinating. This book contains a wealth of information presented in Kathy’s warm and often humorous style. She tackles the serious considerations of using deadly force in defense of oneself and loved ones in a thought-provoking, non-judgmental, “between girlfriends” prose that is neither threatening nor sugar-coated, just very real.